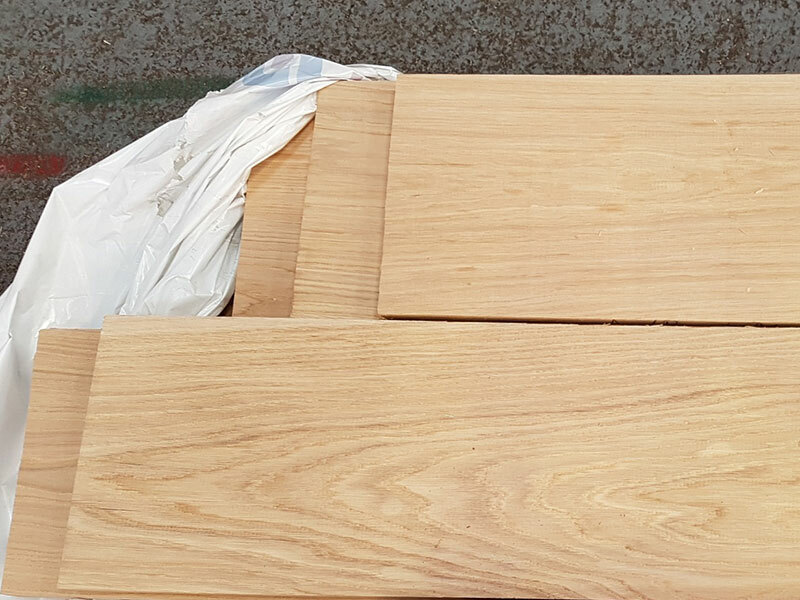 High Quality Oak Stair String Boards In Stock in the iWood Warehouse. 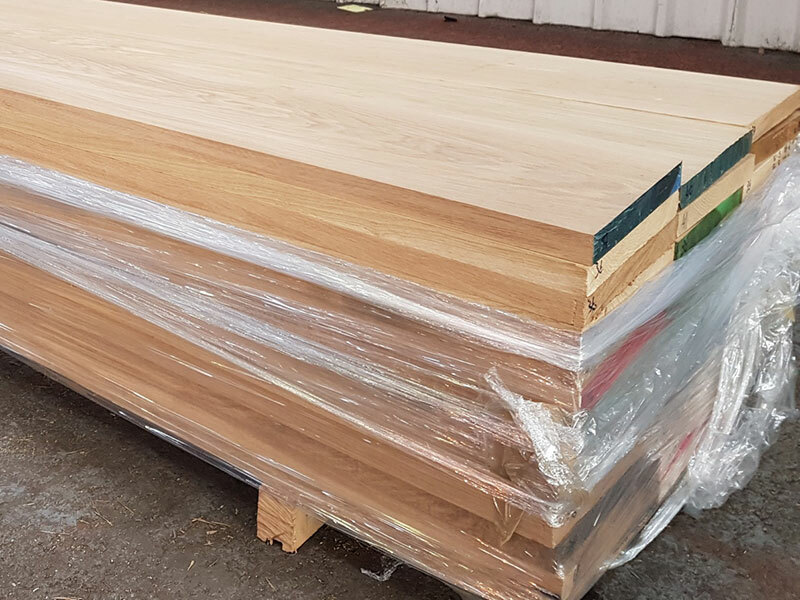 Oak Stair Strings, or "Oak Stringers", are used as the diagonal boards on either side of a flight of stairs that the stair treads and risers connect into. 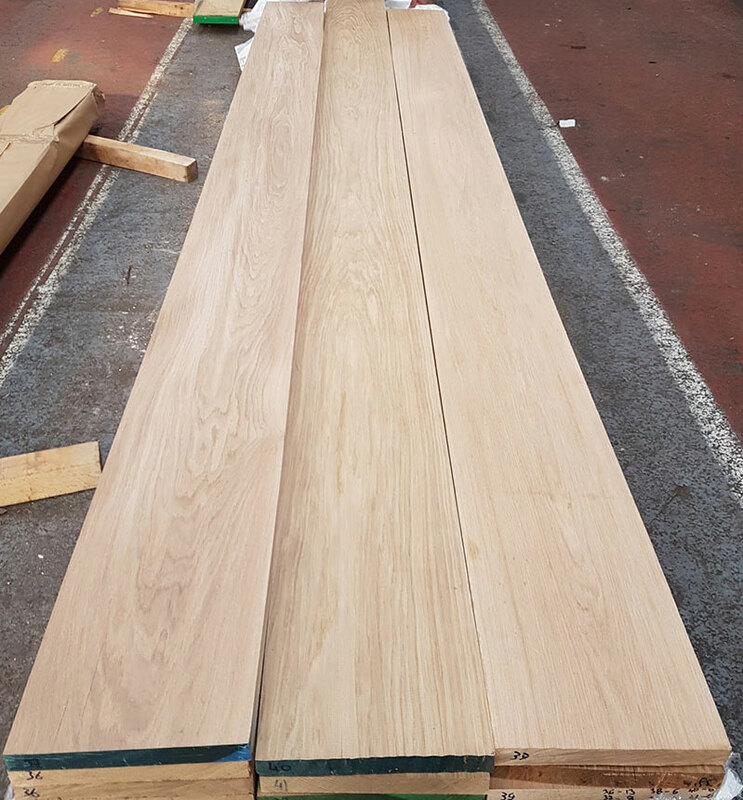 The boards available on this page have been specifically selected as oak stair strings because of their excellent quality. 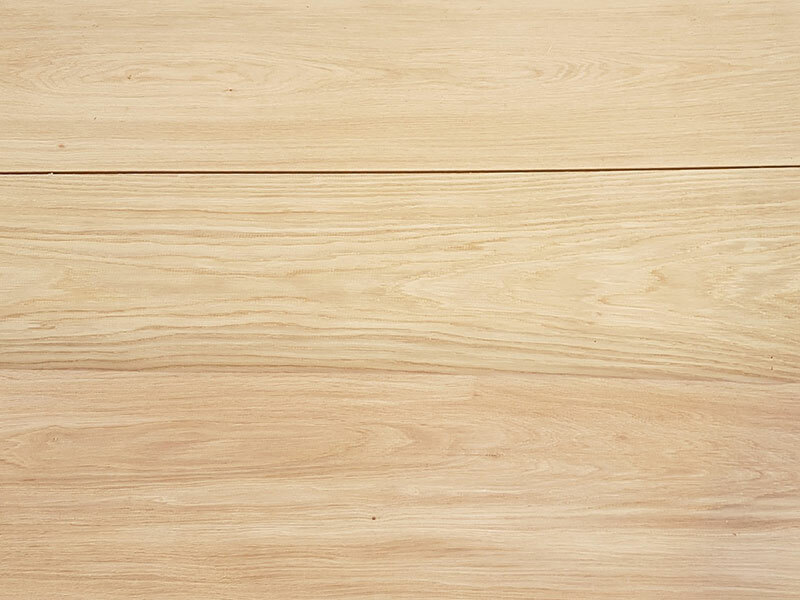 These Oak Stair Strings are planed to 32mm (finish) thick and are available in numerous widths and lengths. These stair strings can also be cut down and used as oak stair treads. Select your preferred grade and width, then select the boards you'd like to buy. Add them to your shopping basket and buy online. Please note, because these are limited stock items, they are available on a first-come, first-served basis. The longer you leave them in your shopping basket the higher the chance your exact strings will not be available. Select a grade above first. to see the available stair strings.